Media #15 – Hawaii’s Japanese newspaper Hawaii Hochi featured us! 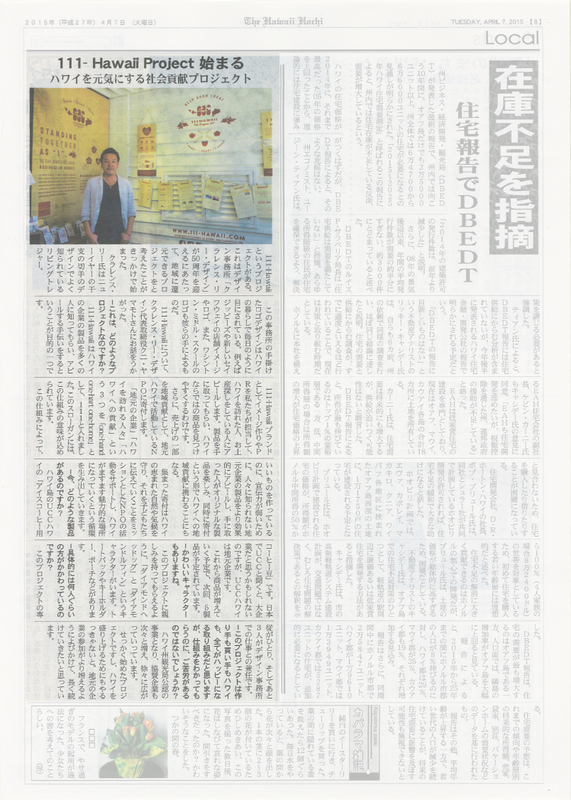 15 Apr Media #15 – Hawaii’s Japanese newspaper Hawaii Hochi featured us! Launched in 1912, and with over 100 years of history in Hawaii of providing Japanese newspaper, “Hawaii Hochi” has featured an interview article with Kuni Yamamoto, the promoter of 111-HAWAII PROJECT, on their April 7th issue in their Local section. Check it out!